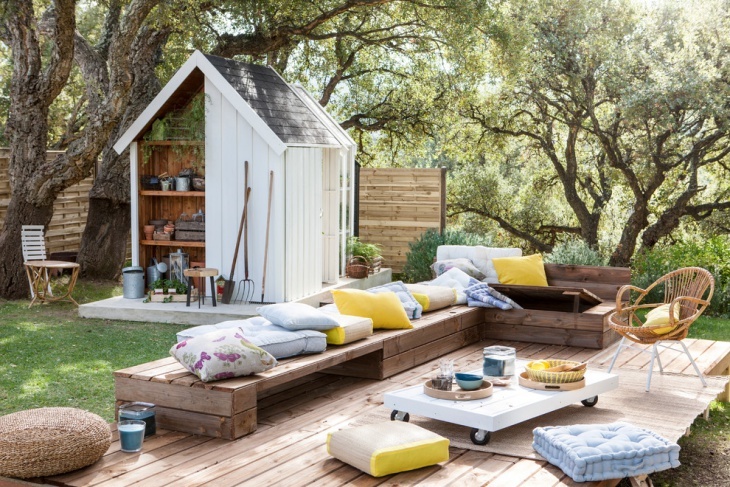 During warm days, the need to spend time outdoors gets stronger. 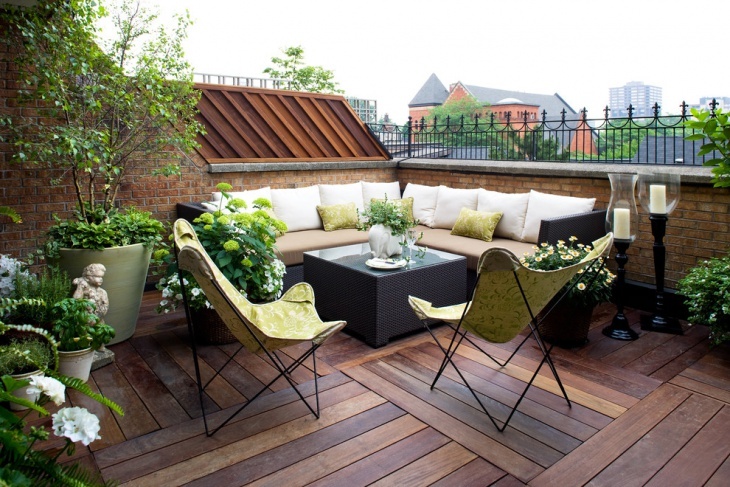 If you are lucky to have an outdoors space then you have to think about how this space looks. What is the style to go for? From hosting parties to lazy dinner nights with friends and family, you need to design the space to suit every occasion. 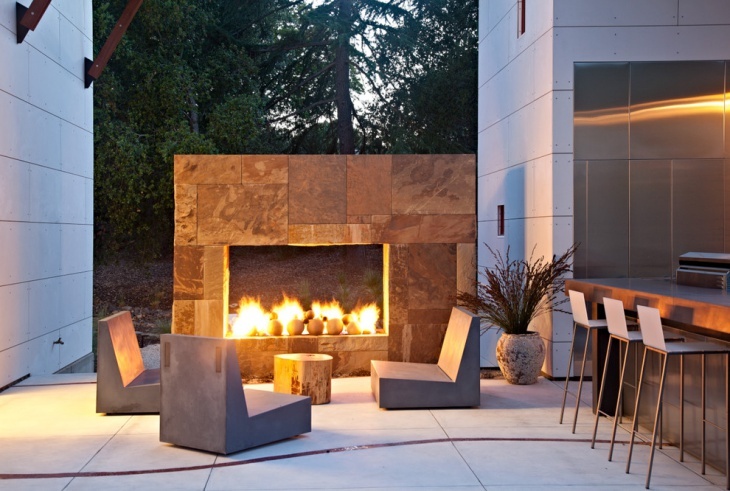 Keep reading for amazing outdoor seating ideas from the collection of designs we have prepared for you. 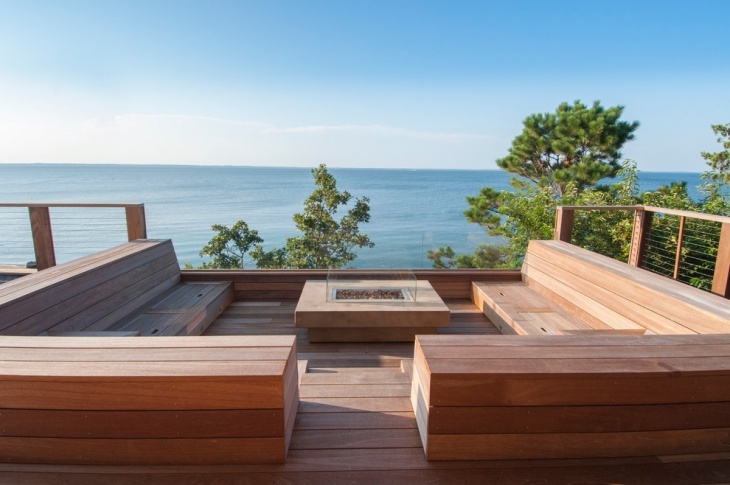 A built-in outdoor seating is always convenient. 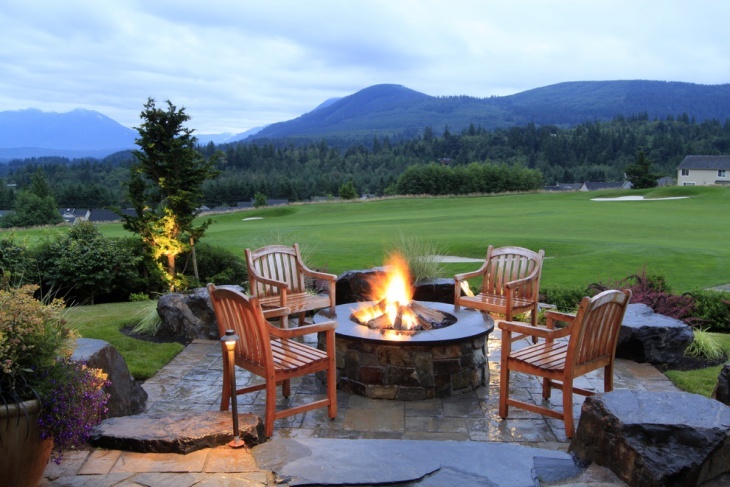 You can invest in plush pillows for comfy seats and a couple chairs as well as an outdoor fireplace to warm you on chilly nights. It’s suitable for country houses. Concrete is a cold and hard material. However, you can mold it into many shapes like these concrete rolling chairs. The modern design gets a warm tone from the big marble fireplace that catches the eye as a centerpiece. 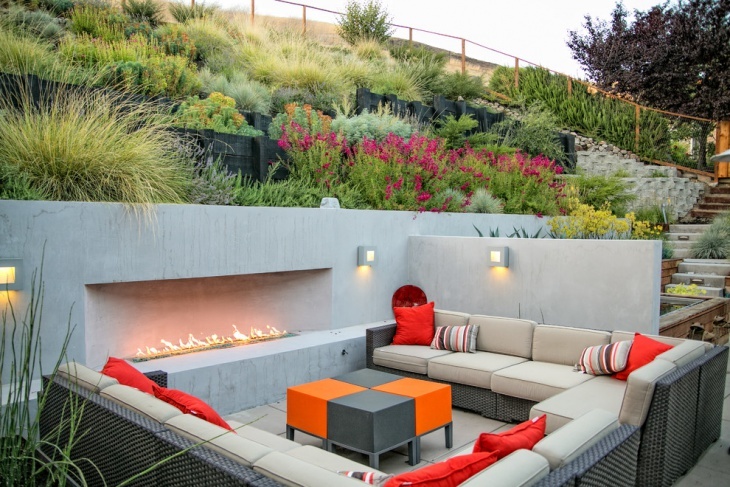 This is a great idea for an outdoor patio design. The dark color of the furniture along with bright colors of the foliage brings out the beauty of this setting. It’s suitable for rooftop space synthesis with a view. 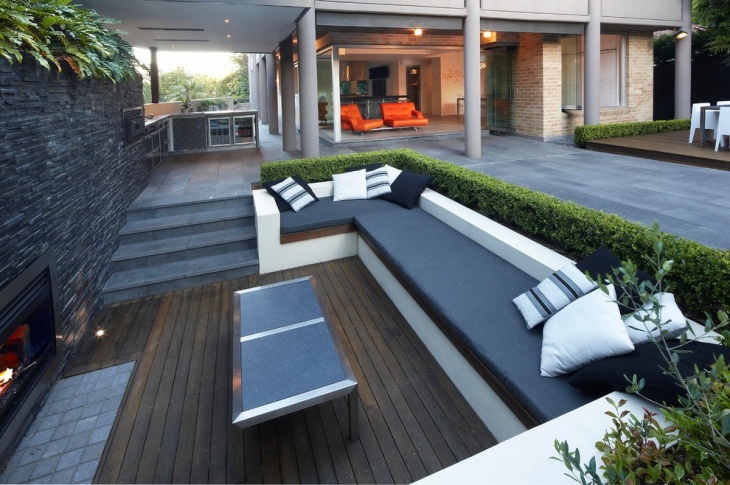 Create an outdoor bench design in a contemporary style. If your space has different levels then take advantage of that to build a stylish corner for a seating area. You can place lights on the steps and on the decking. 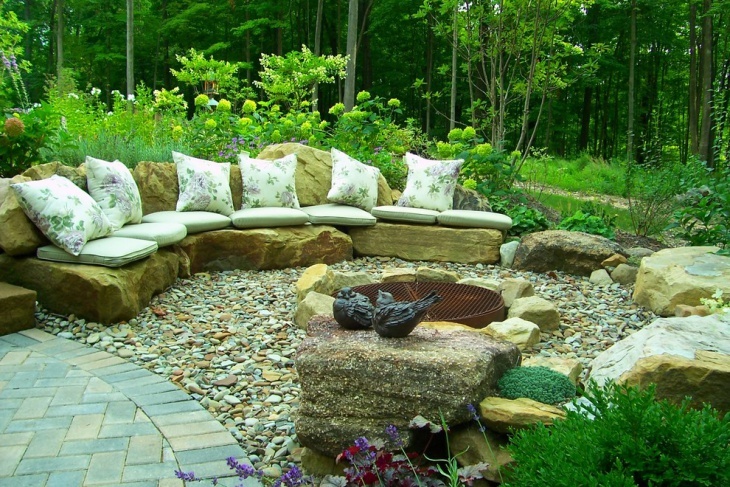 A built fire pit in the middle of the seating area will make for perfect for your cottage. The wooden chairs with the rocky theme add a traditional ranch style to the setting. It’s suitable for barbecue days with family. You can recreate a restaurant setting on your patio. 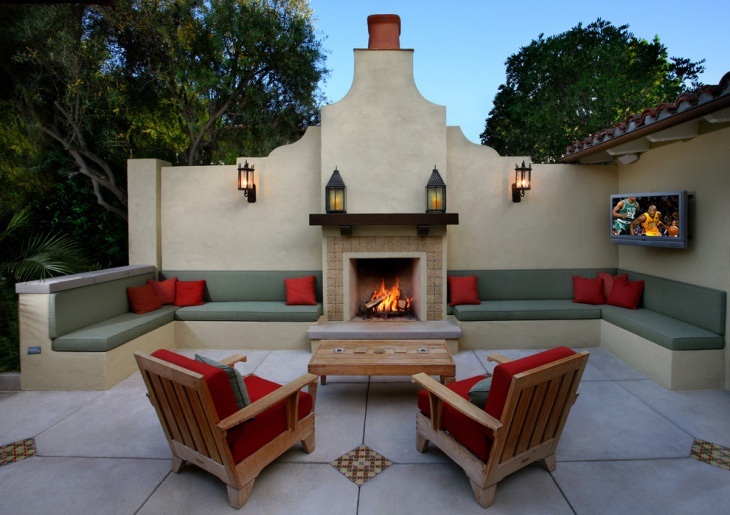 The traditional style of this setting with built-in concrete benches and fireplace with wooden furniture create a setting that is sure to charm all your guests. The Mediterranean style is all about home. 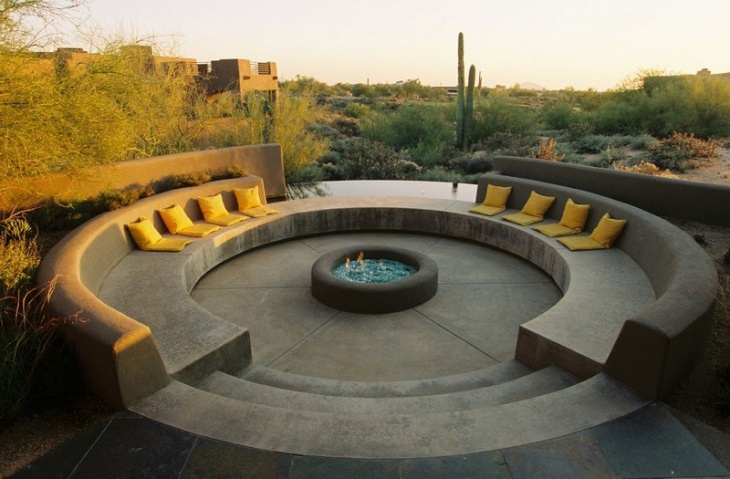 A built in fire pit in the middle will be the center of attraction on every occasion. Complete the synthesis with built in benches and chairs in different colors to create an antithesis. 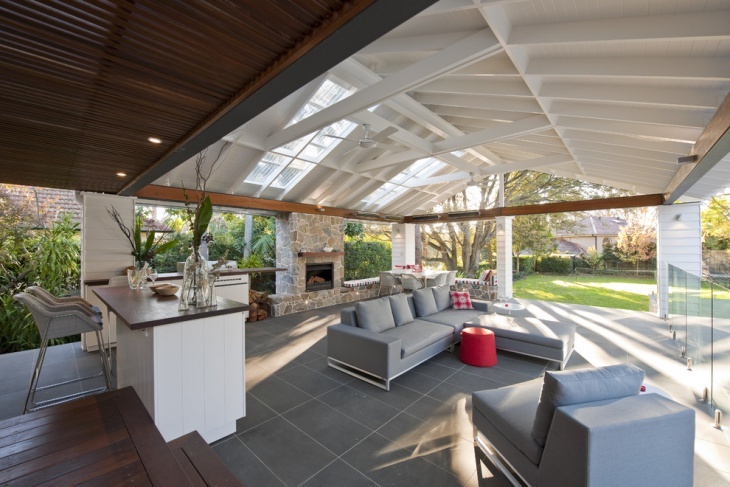 Plan ahead and design a space that will be used during rainy days too. 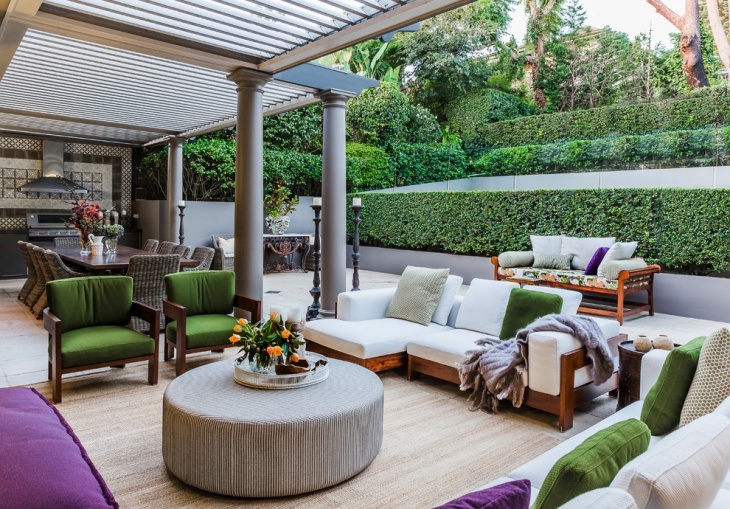 A covered area can be useful to place your seating area like this contemporary style one that is perfect for all year around use. This romantic fairytale setting is perfect for weddings on the beach. 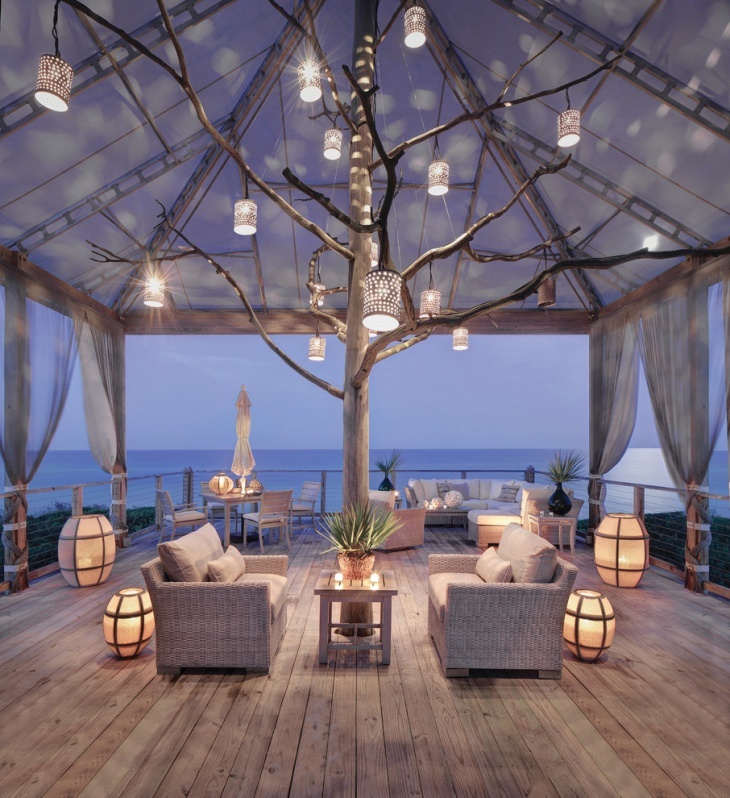 You can create this setting with deck lanterns as well as hanging lights for a more elegant style. 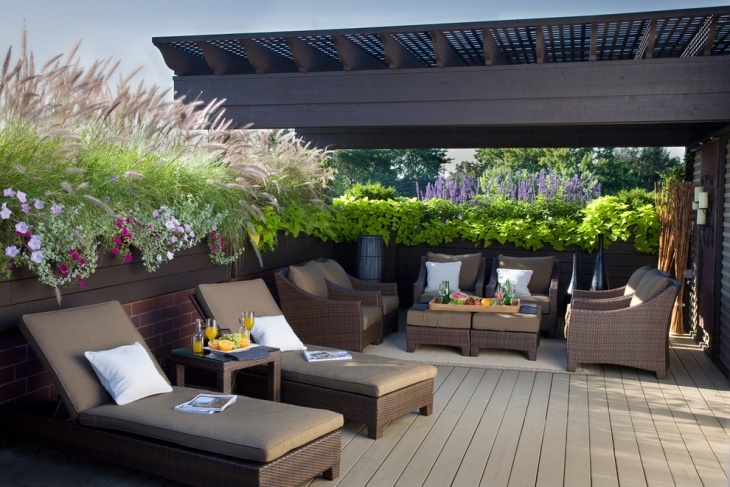 Perfect for both covered or not deck spaces. 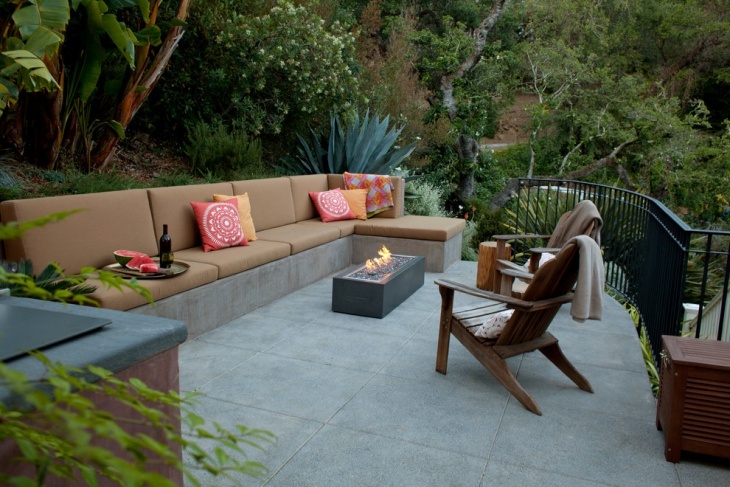 Your outdoor seating area can be adjusted to any style you want. Create a space with practical furniture or install built in benches, investing only in cushions and pillows for the décor. Create perfect atmosphere with the suitable lighting and get ready to spend great days with family and friends.